“We’re able to help align curriculum standards to better prepare underrepresented students for opportunities at companies like Facebook, Google and other companies in Silicon Valley, and locally." Facebook launched an Engineer-In-Residence (EIR) program, which deploys software engineers to minority-serving institutions to galvanize computer science curricula with industry-relevant tools, technologies and problem-solving frameworks. Second-year students taking computer science (CS) classes at NJIT will learn to resize dynamic arrays, balance binary trees and implement hash tables from a software engineer employed by the largest social networking company in the world. In 2016, Facebook launched an Engineer-In-Residence (EIR) program to increase the number of minorities entering the technology workforce. The program’s comprehensive framework includes Facebook-sponsored extracurricular activities; semester-long technical interview prep workshops; dedicated support from a Facebook program manager and recruiter — and the deployment of software engineers to minority-serving institutions to galvanize CS curricula with industry-relevant tools, technologies and problem-solving frameworks. In the fashion of a visiting faculty member, Miki Friedmann, a Facebook software engineer, will join NJIT for the fall 2018 and spring 2019 semesters. He will teach three sections of Data Structures and Algorithms at NJIT’s Ying Wu College of Computing (YWCC), which houses one the nation’s top online master’s programs in CS and the largest computing program in the greater New York City area. Prior to joining Facebook in 2015, Friedmann worked as a software engineer at Amazon for four years. As an advocate for equitable access to quality CS education, Friedmann has taught intro and AP high school CS classes as part of Microsoft’s Technology Education and Literacy in Schools program. Thanks to the ubiquitous role of computing in today’s global economy, attractive starting salaries, and a dire shortage of computing talent, student interest in CS continues to soar. A Computing Research Association Taulbee Survey found that the rate of bachelor’s-degree production in computing increased 74 percent between 2009 and 2015. And according to the Bureau of Labor Statistics, computer and information technology occupations will produce more than 1 million job openings over the next 10 years. In a report published by the Kapor Center for Social Impact, the U.S. technology workforce is presently 90 percent White or Asian and 75 percent male. What’s more, 21 percent of computer science degree earners are Black or Latinx yet comprise only 10 percent of technical employees in the tech workforce. The anticipated growth of STEM occupations coupled with the under-recruitment of minorities for CS jobs presents NJIT — which is ranked no. 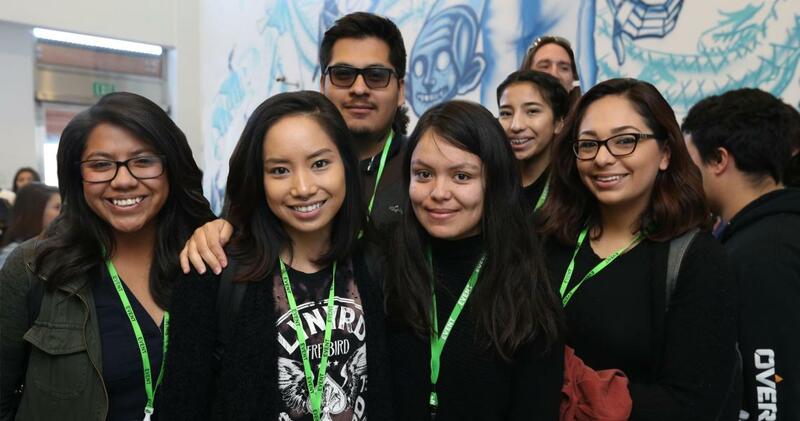 1 in the nation for “Student Upward Mobility” and prepares students from nearly 100 countries for STEM careers — with a tremendous opportunity to partner with Facebook to increase diversity in the tech workforce. Through close collaboration with Friedmann, YWCC will offer Data Structures and Algorithms as a course packed with real-world insight and current industry practices. “It’s a deep, foundational course with lots of practical application. I look forward to working with the faculty at NJIT, and meeting the students in the fall.” says Friedmann, whose applied approach to teaching will require students towrite code daily with fast feedback loops, laying the groundwork for technical interviews, which are the gateway to sought-after tech internships. To date, Facebook’s EIR program has served more than 500 students, 70 percent of whom identify as a minority. That’s a surge of 124 percent, over the life of the program. From 2017 to 2018, 71 percent of EIR participants landed internships, versus 35 percent from 2016 to 2017.